One of my favorite chocolate flavor combinations is chocolate and orange. I like chocolate syrup on orange sherbet. Or, have you ever had one of those chocolate candy balls that crack open and comes apart in sections like an orange? It’s one of my favorites…a great combination of chocolate and orange! 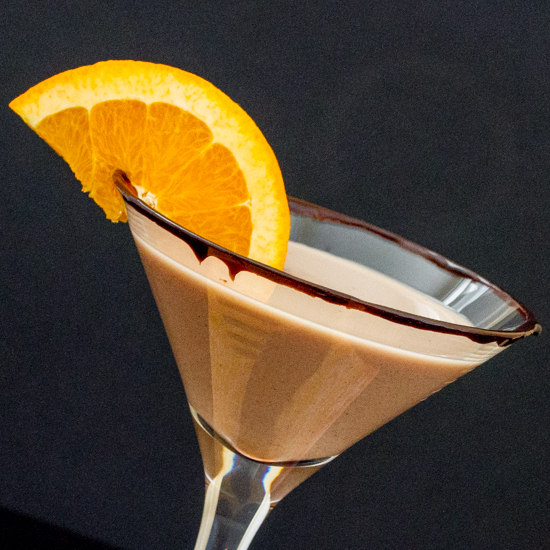 So today I thought I’d give you that chocolate orange candy in adult form… a Chocolate Orange-tini. Your welcome! I tried this martini with vanilla vodka, marshmallow vodka and whipped vodka flavors and they’re all very similar so go with whatever flavor you prefer (or try it with regular, unflavored vodka). It’s a simple dessert martini that also includes my standard Godiva and cream de cacao. 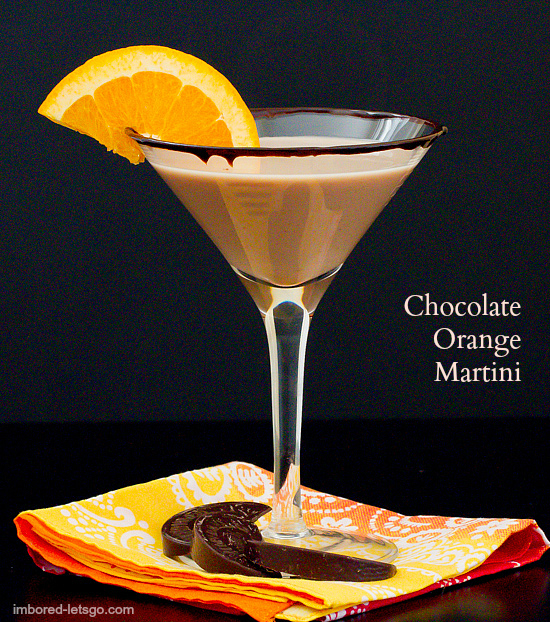 Add some fresh orange juice and you’ve got a delicious chocolate orange martini! Now I just can’t decide on my favorite, the Chocolate Raspberry-tini, Chocolate Covered Cherry-tini or this Chocolate Orange-tini. Which is your favorite? Rim martini glass with chocolate syrup, if desired. Combine ingredients in cocktail shaker filled with ice. Shake well and strain into chilled martini glass. Garnish with orange slice. Thanks for following along and sending a shout out! My brother and sister-in-law are from Houston…great food there!